Acquired ISO 9001 Quality Management System Certification (PDF: 1,370KB). Acquired ISO 14001 Environmental Management System Certification (PDF: 1,260 KB), a management system EIZO has updated three times since then. 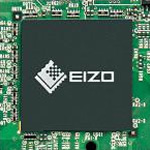 EIZO became the first stand-alone monitor manufacturer to receive ISO 13485 certification for the quality management system for its medical display devices. (PDF: 997 KB).